For many years I combined working as a helicopter flight instructor with writing about various aspects of rotary aviation for a number of magazines. This included interviewing various helicopter pilots about their jobs, and sometimes going out with them on a typical day’s flying. 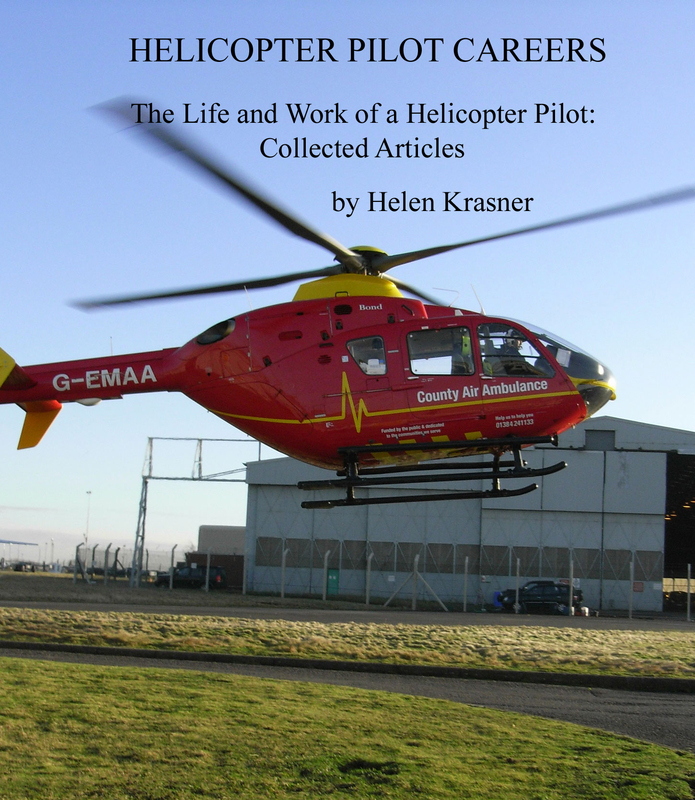 This latest book is a collection of seven very different articles about these interviews and flights, which could be particularly useful and interesting to those wanting to know about helicopter pilot careers. The first two articles are more general, and discuss the qualifications and experience needed to become a commercial helicopter pilot and a flying instructor. After that come my experiences of the different jobs available to helicopter pilots, generally obtained from meeting people who did that work, as stated above. Thus the next two articles are about different aspects of the worthwhile work of air ambulance pilots. Then come two further articles about the work of the Metropolitan Police Air Support Unit. Finally we have some details of the less well known jobs of those pilots who patrol and monitor the gas pipelines throughout the UK. Some of these articles describe in detail the work of the pilots involved; others concentrate more on the types of helicopters used. All should be particular interest to anyone considering a career in rotary aviation, but ought also to appeal to anyone else interested in any aspect of helicopter flying. The articles are of varying length, and the book is well over 20,000 words. You can find this book here.